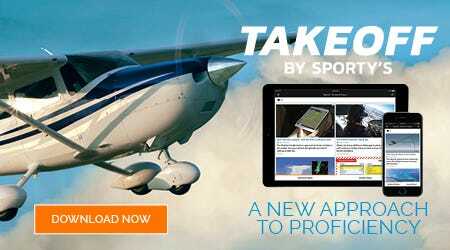 Takeoff is unlike any other app we've ever created at Sporty's. Instead of being focused on an individual training goal (like our popular Pilot Training app), Takeoff can be used every day, by pilots of all levels. It's a constant companion for the active pilot, helping you to stay current and have fun. Download it today for free content. You can subscribe for $59.99/year or get it free when you join Sporty's Flight Crew. We publish new content every day of the year, so Takeoff can be part of your daily routine. You probably expect great training videos in the app - and there are plenty of them - but there's also much more. Here are 8 reasons why Takeoff is unique. A good pilot is always learning, and Takeoff makes it easier than ever. Whether you want to geek out on aviation weather or learn pro tips on instrument flying, you'll find dozens of exclusive video tips. Each tip is the perfect length (3-7 minutes) for busy pilots, and you can select the exact categories that are of interest to you. Want to read more than just the headlines? Our editors carefully select the most interesting, unique aviation stories every day from around the internet and share them in the "Aviation News" section. 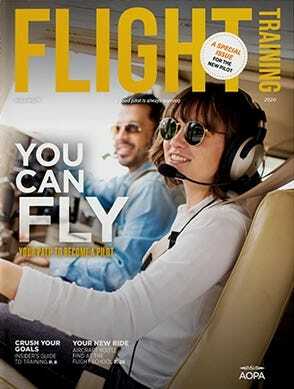 You'll learn about emerging technology, keep up with timely aviation issues and get tips for safer flying. Takeoff isn't just about Sporty's content - you'll also find popular aviation podcasts, including The Finer Points of Flying, Airplane Geeks, and Uncontrolled Airspace. If you're new to podcasts, this is an easy way to get started; if you're already a devoted follower, you can keep up with your favorites right from Takeoff. This app is interactive too, with fun and challenging quizzes on a host of topics. Test your knowledge about aviation charts, airspace, runway signs and much more. Each quiz includes scoring and explanations. Takeoff isn't just a training app; it's also a great place to find fun and exciting videos from around aviation. We search out the most exciting, most inspirational flying videos and share them, so you can remember why you love being a pilot. Flying these days means more than just moving the yoke and rudders; a good pilot uses technology to make every trip safer and more fun. That's why you'll find plenty of real world tips and tricks for flying with your favorite aviation apps, like ForeFlight and Garmin Pilot. Whether you're working on crosswind landings or fine tuning your WAAS approaches, Takeoff brings you practical tips from some of the best educators in aviation. Our focus is on real-world, honest advice for pilots of all levels, not just rehashing the textbook. There are more pilots than ever contributing to the Takeoff app's daily stream of content. We're seeking out pilots of all types from bush pilots and distuingued CFIs to air show hosts and record-setting pilots. 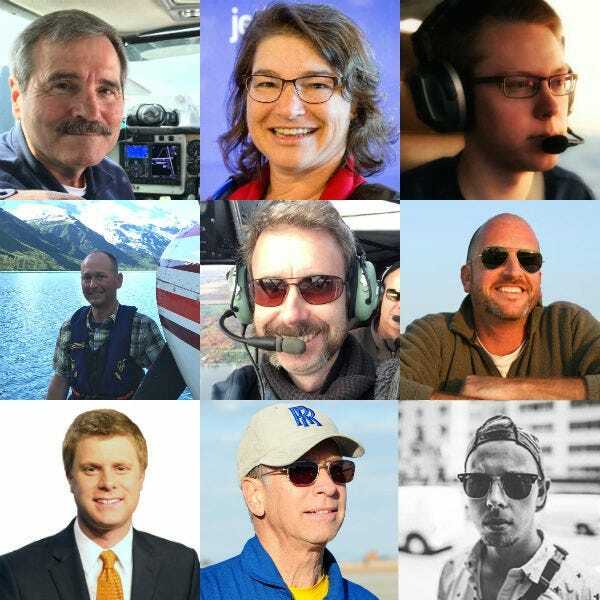 You'll see posts from former Flying magazine editor Mac McClellan, popular CFI Jason Miller, meteorologist Scott Dimmich, world traveler JP Schulze (the candourist), and many more. Using Takeoff is easy! You can download the app for free and start exploring all the content. For the ultimate proficiency app, subscribe to Takeoff Pro, which offers nearly double the content, exclusive videos you won't find anywhere else and an ad-free environment ($59.99/year). You can sign up for a free 30-day trial of Takeoff Pro when you download the app today, or join Sporty's Flight Crew to get free shipping at Sporty's plus access to Takeoff Pro.